Let the sun shine in! 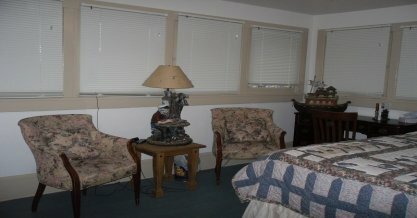 This corner room has windows on the east and south wall. Rise with the sun (if you choose!) in this bright cheery room as you wait for it to crest the Tintic Mountains. 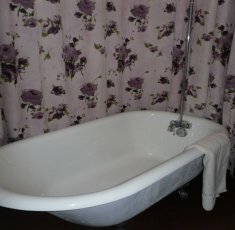 Its unique bathroom has a low hung wall sink for children’s ease of use, and an antique claw foot bathtub. The bathroom is just outside your bedroom door.